Boost Your Energy Levels, Improve Your Joint Function, Reduce Stress & Help Strengthen Your Body’s Natural Defenses! Click below to watch an informative video! 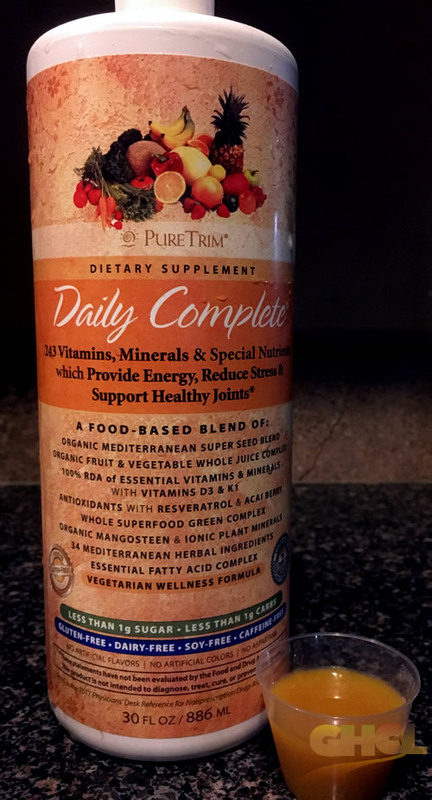 Daily Complete is a proprietary balanced blend of ingredients, delivering 243 vitamins, minerals, organic fruits, organic vegetables, antioxidants, enzymes, amino acids, Mediterranean herbs, pure phytoplankton, and other important accessory nutrients to your body in one liquid ounce a day. 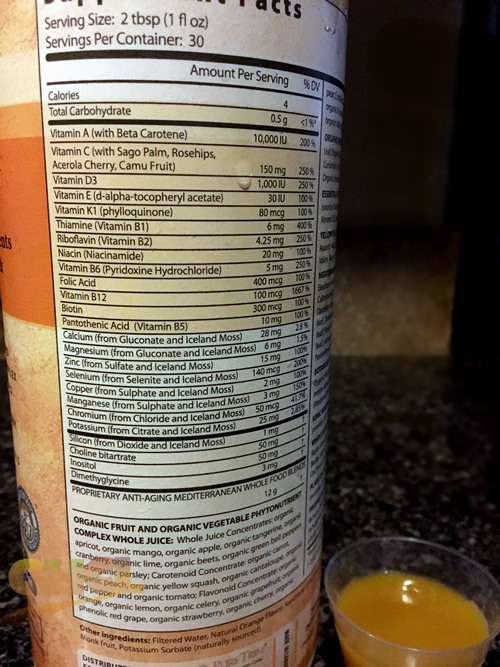 Take 2 tbsp (30 mL / 1 fl oz) per day, during or immediately after a meal. 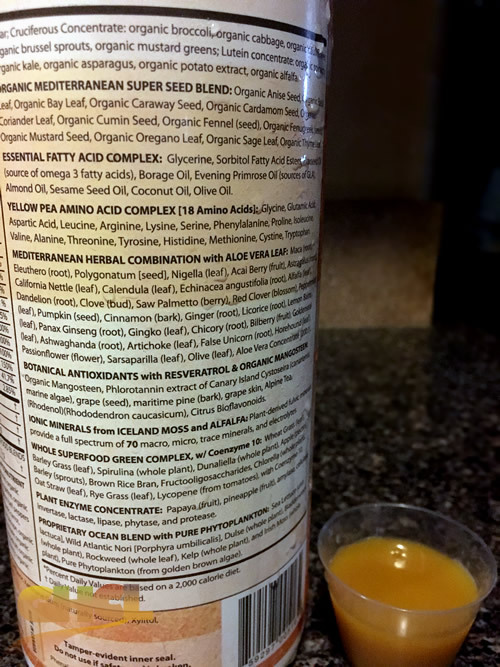 I have taken photos of the back of the bottle from two different angles and hopefully, you can get the gist of just how potent this vitamin supplement is with all that’s in it! 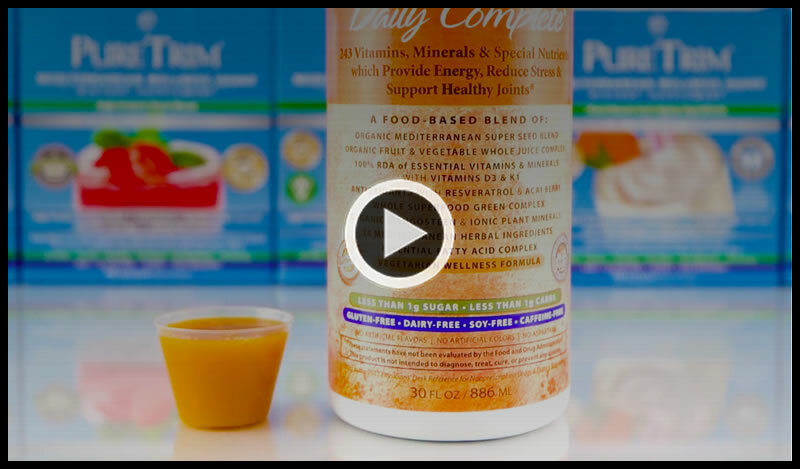 DAILY COMPLETE— is the only vitamin I’ve ever taken that I can feel the energy boost within 20 minutes. It makes my morning exercise a breeze. I have finally found a vitamin that I don’t mind taking one because its in a liquid form and it has all the vitamins and minerals in it that I had seeked for to promote healthly hair growth.